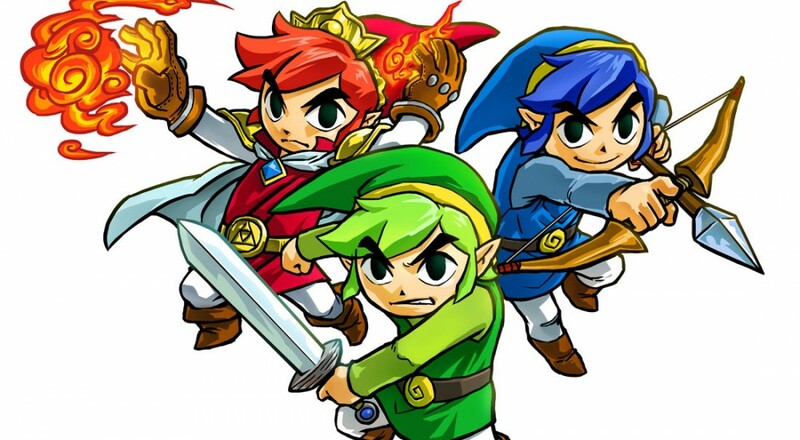 Looted the living daylights out of The Legend of Zelda: Tri Force Heroes' stock levels? Nintendo's got a nice little surprise for you. A DLC release scheduled for December 2 brings 30 new stages to complete, along with two new outfits and some welcome changes to online play. One slight downside to the free DLC: the new levels are based around enemy killing, not puzzle solving. The Den of Trials' level set is all about defeating enemies in a room before moving on to the next. Checkpoints along the way help keep frustration to a minimum, but apart from that, it's all sword swinging and arrow shooting. The new outfits include the Fierce Deity Armor that lets you shoot sword beams in four directions simultaneously, and Linebeck's Uniform that gives you a preview of a chest's contents before opening. A boring feature that brings even more excitement is changes to how online matchmaking works. Now, instead of pairing you with complete randoms, Tri Force Heroes will ask players a question, then match them with others who answered the same way. We're guessing the questions are along the lines of "Are you a jerk who's going to quit after one level?" In case the questions don't do their job, a new blacklist system allows us to block those quick quitters after they abandon in the middle of the game. Our The Legend of Zelda: Tri Force Heroes co-op review highlights the goods and the bads of the game. Spoiler alert: it's mostly goods, except a few quips with how online operates. This update should help keep that frustration to a minimum. Page created in 0.5564 seconds.